I could sit here and dwell on all the things in life that I wish had turned out differently. However, there is no point in crying over spilt milk. Wishing things turned out differently is not going to change anything . 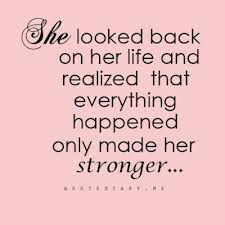 Instead, I choose to focus on the lessons learnt and good things that have come from the bad times. The main benefit I have gained from numerous points in my life is my independent streak. It's not so much an I am woman hear me roar type of feminist independence or a selfish inflated sense of self importance, but just the fact that I am able to take care of myself. I want to take care of myself, I can rely on myself and I don't want to be a burden on other people. This is one of the qualities that I like most about myself, regardless of how it came about. There is no doubt that I had to grow up quicker than most children given what happened when I was young. 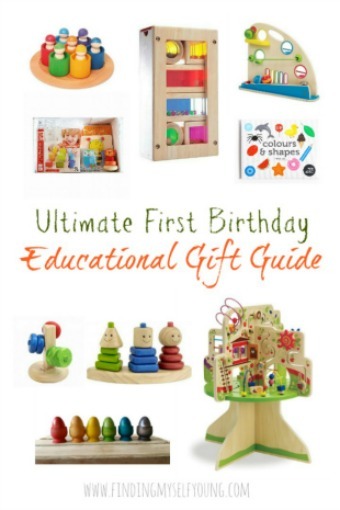 This was the start of developing my own independence, but it was more in a maternal way. After dad died I took on an adult role. I helped with the cooking, cleaning and shopping because I wanted to help out. I wanted to show that I could be an important part of the family. That I could step up. Most of all I wanted to help make everything easier for mum. Doing these things from an earlier age helped develop life skills which enabled me to take care of myself a lot sooner. My desire to be independent really grew as I watched mum be a single mother for years after dad died. She could do anything. She didn't need a man. She didn't need help. At least never in front of us. She didn't whinge about it, she just got on with doing everything she needed to do. She took care of herself and us. I wanted to be like her. I wanted to make sure that when I was older I could take care of myself too. I didn't want to be a burden on society, I didn't want to have to ask for help. I wanted to be able to do it all on my own. I thought she was the strongest person I knew. I wanted to be strong too. In some ways my desire to be independent also grew from fear. I have always been worried that I would end up in a situation where I would have to take care of myself the same way mum did, so I wanted to prepare for it before it happened. I know its irrational, but its how I grew up. Its the only family life I've ever known so its logical on some level that I would make those assumptions as a child. These days I am taking control of my fears. I no longer believe thats the only way life is going to turn out. I believe that I can and will have a long and happy loving family life. I am, however, still very grateful for my independent streak. I believe that it has allowed me to get to where I am today. I also think it will make me a better mother and wife. I know T is sometimes frustrated by it as he wants to be the man and provide for me. I am learning to accept his help. To realise it is ok to rely on his support. It's ok to open myself up that much emotionally and be vulnerable and no longer be scared of it. Sometimes the moments in life that shape our destiny also mould us into better people. Allowing us to grow in ways we might not have done before. And sometimes people come along and allow you to challenge your fears. Life is all about continuously developing, whatever the reason. 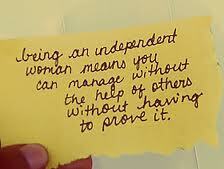 I do feel that women should be independent or should I say, self-sufficient if and when they need to be. This all starts from childhood, learning how to cook, clean, how to fix things that are broken around the home, where to turn off the water if there is a flood in the house and such like. Nobody should be totally dependant upon someone else unless there is good cause. Because when that person is no longer there, they will fall flat on their faces. I remember a woman that was married for nearly 30 years. She only raised the children, cook and clean. Her husband left her suddenly and she had no idea how or when to pay to pay any of the bills - in fact she didn't even know where to find them. Because she had never worked she had no idea how she would make ends meet or where to start looking for work. She suffered greatly starting from scratch again and the world became a minefield to her. I not saying to be totally independant in your relationship but just make sure that you can also fend for yourself if things don't work out in the long run. Lovely Post. 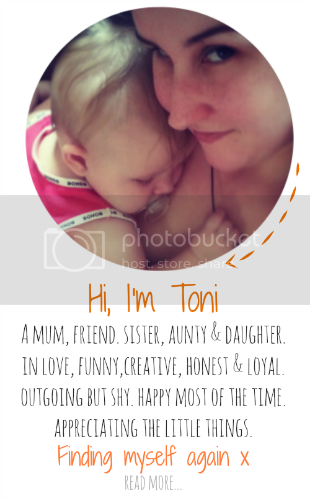 Great post, Toni! If there is anything good that came out of my divorces, it was the courage to move on with my life and embrace my independence. I provided for my kids, completed my formal education, and learned to fix just about everything in my house. Part of being independent means understanding one's limitations, knowing when to delegate, and appreciating that no person is an island. A healthy sense of independence is essential in creating healthy relationships. I understand - my independent streak is also very wide! Thanks for Rewinding.